Tynnøl Backpackers Lodge is situated along the main road between Dombås and Åndalsnes (E136). 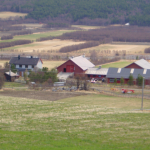 There are sign posts down to the farm around 3 km west of Lesja centre. – Take the train (NSB) to Lesja station from Oslo, Åndalsnes or Trondheim. 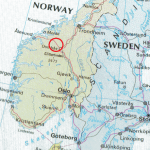 – Many local buses from Otta or Dombås will take you here. Lesja railway station is situated in Lesja centre, 3,5 km from Tynnøl. Walk down to the main road and follow the footpath 3 km westwards until you see our sign post. Follow the signs down to the farm. The buses stop at ”Prestløkken”, 300 m from Tynnøl. Walk downwards and follow the signs. The express buses Bergen-Trondheim og Oslo–Trondheim stop at Dombås.